It's official — Khloé Kardashian is a mom! Although a source close to the star already confirmed the birth, we're now hearing the news straight from the #ProudMama — and grandmama— herself! 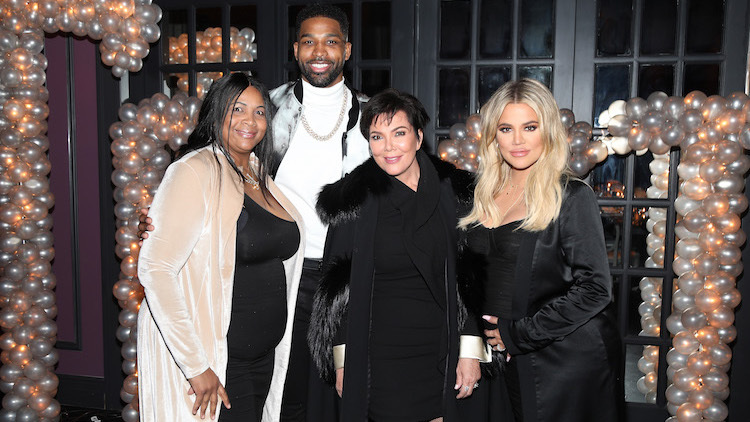 Kris Jenner took to Instagram on Thrusday, April 12 to reveal that her daughter finally made her life-long dream a reality. "BLESSED!!!" she captioned a repost from W magazine of Kendall Jenner repeating the word "baby." "When three of your sisters give birth in under a year. Congratulations to @KhloeKardashian on welcoming another girl to the KarJenner clan," the original caption stated. People immediately began commenting on the strange video, with many agreeing it wasn't exactly a warm announcement. "Not really a heartfelt post from Kris is it?" one person questioned. Another added, "Please ruin Tristan, we believe in you KJ," and a third chimed in, "Major Tristan shade. And rightly so." The post comes just one hour after big sis Kourtney Kardashian seemingly threw shade at Koko's cheating man. The 38-year-old shared an Easter snap with Penelope and North and wrote in the caption, "GIRL POWER." And it didn't take long for fans to detect the secret meaning behind the pic. "I think there's an underlying message here where she's supporting her sister," someone wrote. Another added, "Reads between lines" and a third chimed in, "Hidden message in the caption… aka f–k you Tristan #girlpower." ICYMI, Tristan, 27, was caught making out with multiple women at a DC hookah lounge in October. Just two months prior, In Touch reported that Tristy was spotted flirting with a mystery woman at a club. Ugh. Fear not, though, fans are already hoping for a Tristan takedown from Kris. And you better belive this is only the beginning.